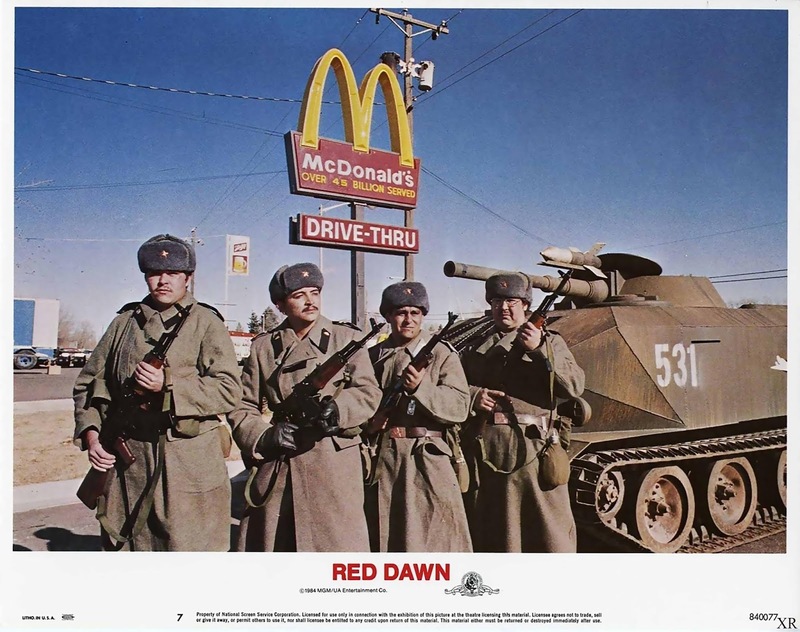 IIRC that scene was cut from the movie because there had been a shooting at a McDonalds just before release so they cut the soviet tank going through the drive in lane. still like that movie…Wolverines!! I seem to remember hearing that all of the "Soviet" gear created some interest in the US intelligence community. I haven't watched the movie in years so I wonder how "accurate" their Soviet stuff was/is. The BMD in the picture looks a bit big to me but still seriously cool. The troopers definitely aren't VDV! LOL!! Would've loved to have seen Mad Magazine do a parody of it back then.